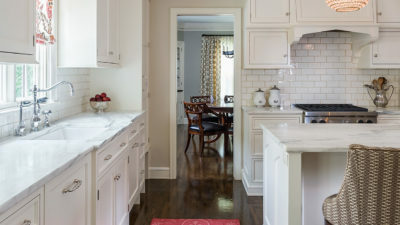 While the urban lot of this 1930s home left little room to expand, great potential existed to remodel much of its underutilized square footage. 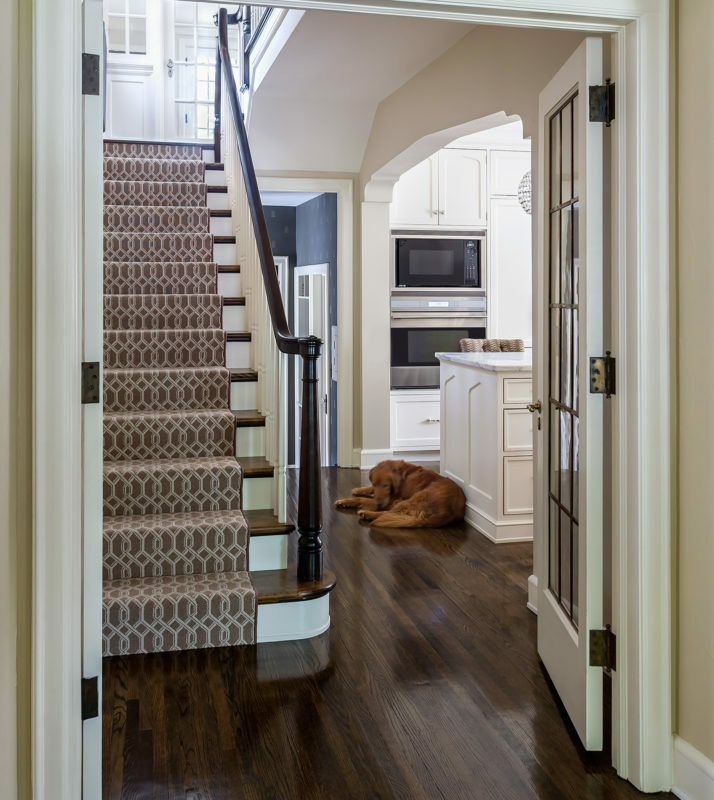 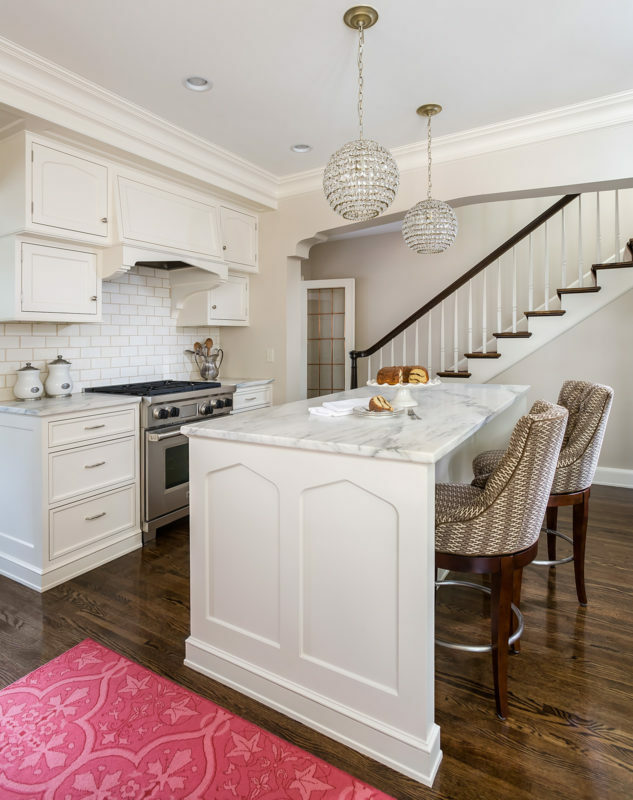 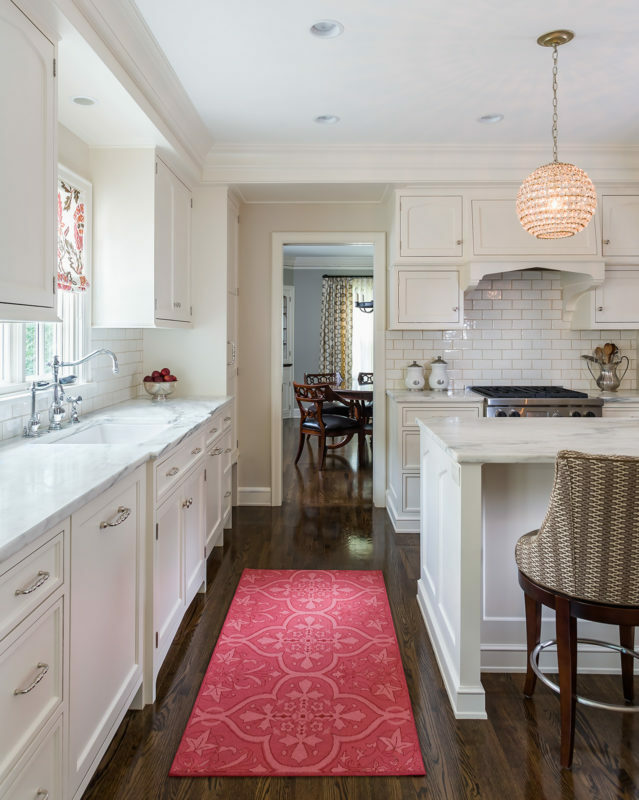 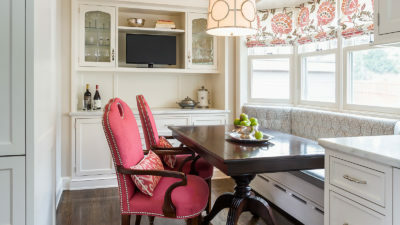 A walled-in kitchen, oversized dining room, tired study, and cramped basement all offered opportunity for redesign. 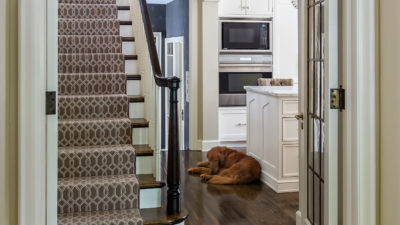 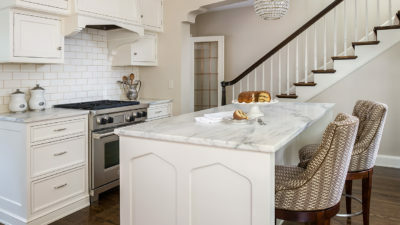 The kitchen was opened up to the stairway, making it feel larger and more connected to the rest of the house. 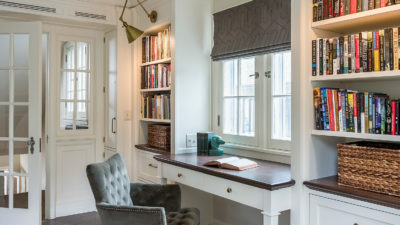 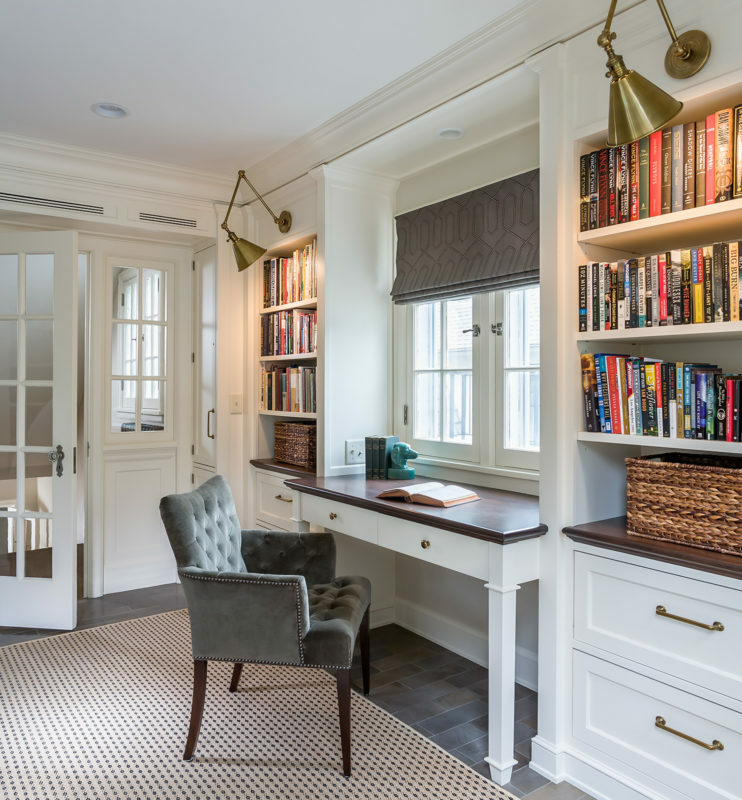 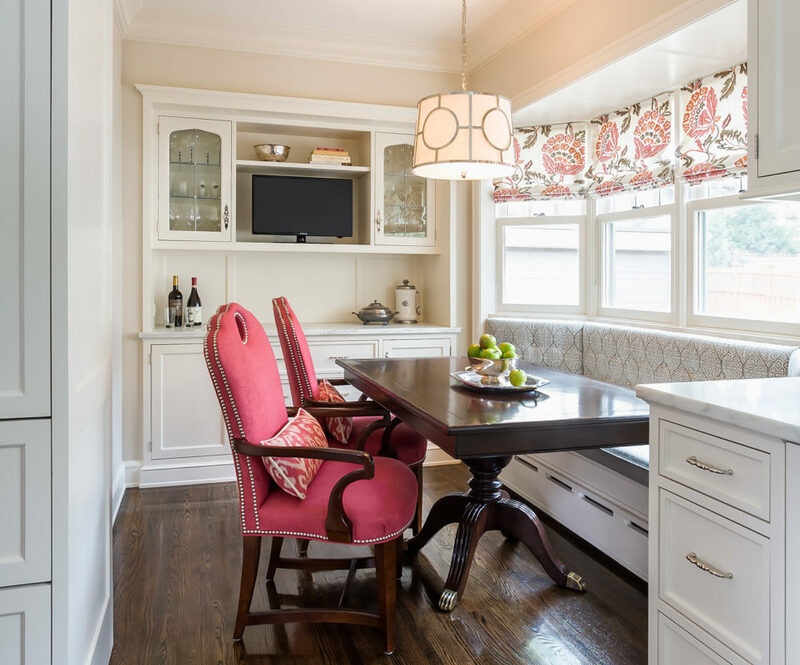 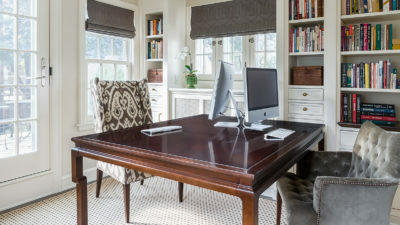 Classically detailed millwork adorns the study off the upper landing, with a partners desk for the parents and a third desk for kids to do homework. 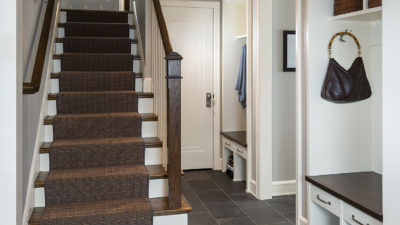 The basement’s new overflow mudroom, bathroom and laundry transformed the lower level into a guest worthy and much needed hangout space for the couple’s teenage children.